2017 has been a big one for me! It was my first full year living in a different country and culture. And I have had my fair share of challenges big and small. Looking back, I have learned a lot about how to approach these tough situations. And below lies a few insights for the road. For the record, this post is just as much for me as for you. A little encouragement to us all. I have learned a lot this past year while living in Zambia, but boy do I know I have a lot more to learn. So cheers to you, cheers to learning, and cheers to taking on the challenges that are going to come at us in 2018! 1. Take a different approach. The thing is that our solutions to problems are usually not the only way. Our solutions all depend on who you are and how you grew up, your personality, your culture, your economic status, your education level. So one of the very first things I learned to do here was ask my friends what they would do in a situation. One day, my beloved sandals from Target broke. They literally fell off my feet in the middle of a mission trip with our gap year students. Back home, I would just get new sandals. But at the time I was pretty far from any mall and I am also reluctant to buy shoes here because the quality is not always the best. So I asked my friend what I should do. “Oh just take them to the cobbler guy on the side of the road.” So I walked to the little shops still with no shoe on my right foot and found the man with used shoes lined up outside his door. “Odi,” I said (which is the equivalent of “knock knock”) as I entered the tiny dark room only big enough to hold the man and a sewing machine. “Would you be able to help me fix my shoe?” I said as I held up my dangling Target sandal. Without a word, he took it, motioned for me to take a seat, took out this long thick needle and some large thread, and he stitched it up in less than 5 minutes. When he gave it back to me, I turned it over in my hand. I could barely tell it had ever been broken. And it only cost me $2. Key questions to ask: What is another way I could approach this situation? How would someone with a different background from me approach this? 2. Rely on your community. I do not have a car here in Zambia which means I have to go by public, which means learning how to navigate the bus. Easy right? Wrong. There are no such things as maps, no signs for official stops, only windy routes, and certainly no timetables. And definitely no maps. So that means I have to rely on my community and actually talk to people. whaaat. Where is that bus? Where do I drop off? There have been so many times that I have been floored by the kindness of strangers to help me get where I need to go. A local minibus. Notice how packed full it is. Key questions to ask: Who could help me with this? And then don’t forget to invest in that relational bridge! While my needs are provided for (PTL! ), I don’t have oodles of money. So when I walked into my new house in 2016, I was overwhelmed by the emptiness. How would I ever make this place a home with the small budget I had. I mean come on. This place did not even have a fridge. One of my biggest challenges was a couch because they are so darn tootin expensive here. So I went to the interwebs to see if there was a way for me to make a couch myself. Low and behold, there is. So with a few free pallets from town, some foam mattresses, sandpaper, varnish, and material, I created my U couch that I actually love and has already had its fair share of couch crashers (it is made out of mattresses after all). Now, if there is anything that I need, I first go to google to see how doable it is to make it myself. Don’t call me granola or anything, but I not make my own oat milk! Just a homemade couch...and shelves! Key questions to ask: Could I do this myself? Go to the Google and find out! 4. Take a positive attitude and make it an excuse to have fun. It sounds silly, I know. But for the longest time, I did not know what to do about getting my hair cut here. I had heard nightmare stories of expats going to a place to get their hair cut and coming out looking like we did after we played salon with a pair of scissors when we were five. So for the longest time I just let my split ends hang. But after asking around, I finally found a salon that knows how to properly do my hair! Downside, it is 2 hours away from where I live. Womp womp. I could view this as the biggest hassle in the world, but nah. It is more fun to take the opportunity of traveling that far for my hair to visit my Zambian host family from 2013 or get a coke with friends. And in a place like Zambia where anything could happen, taking the positive vibes out of every scenario has served me well. Stuck on the side of the road? Check out local cuisine while waiting for your friend to come. Live alone? Get two cats. No dishwasher or washing machine? Listen to a podcast while you wash by hand. Single at 26? Go travel! Look at those lucious locks, freshly cut. Key questions to ask: What is something positive I can take out of this situation? I had traveled all the way to the capital of Lusaka to take my flight back to America after living here for a year. I was very ready to see my family. I was all packed, had stayed the night with a friend, and called in a favor for a ride to the airport, when I decided to check my flight online (even though I could not do online check-in with Kenyan airways). What? My flight was supposed to be at 6pm, not 3am! With the little bit of talk time I had left, I called my travel agent. Yes, my flight had been cancelled. Completely cancelled. And they had not told me at all and just slotted me in for the next flight out, which was 3am and would totally mess up all my other connections. “ZAMBIA!” I fumed. Thankfully my travel agent got me onto a better flight path than the 3am option but it was still the next day. So I called my friend who I was staying with and asked if I might be able to stay another night. “Sure!” she said. “Let’s run to the grocery store for some food for dinner.” As I ran down the canned food asile looking for coconut milk, I stopped in my tracks. That young white woman standing next to me looked awfully familiar. “Bethany?” I asked. 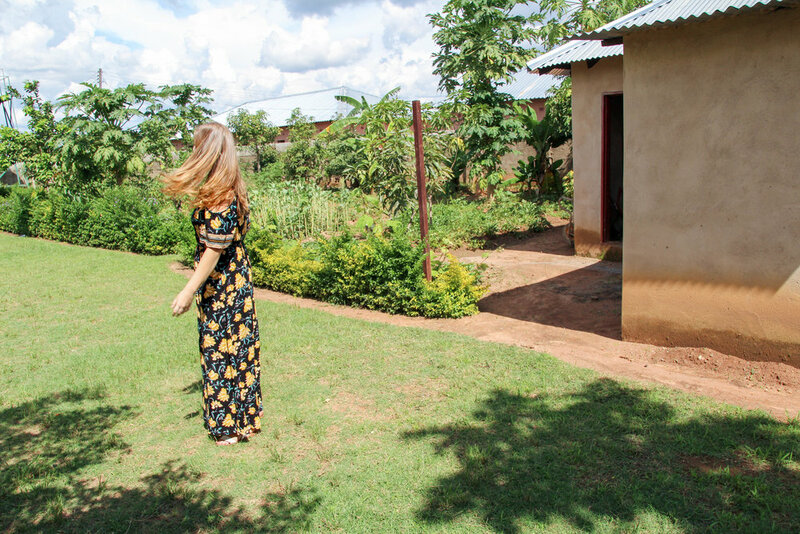 In fact, it was Bethany, a girl that went to my church from growing up…ALL THE WAY IN ZAMBIA! What are the odds of running into her in a grocery store in a city I don’t live in on a day that I am not even supposed to be in the country?! We chatted and long story short, I met up with her folks when I was back in the US. They have now become partners with me in my youth work and my partners are the whole reason I am able to be writing and working today! Meeting them would never have happened if my flight had not been cancelled. I’ll take that one as a win. Key questions to ask: (A couple months later) Did anything good come out of my situation? Go take on 2018, people! We got this!